The High Court Pub will be throwing the be all and end all of Oktoberfests! Featuring a Hammershlagen Tournament from 1pm-5pm. Think you know how to use a hammer and drink a beer? Lets see how you do! Get there early! $1 per nail and all the proceeds go to Fillmore County food shelf. 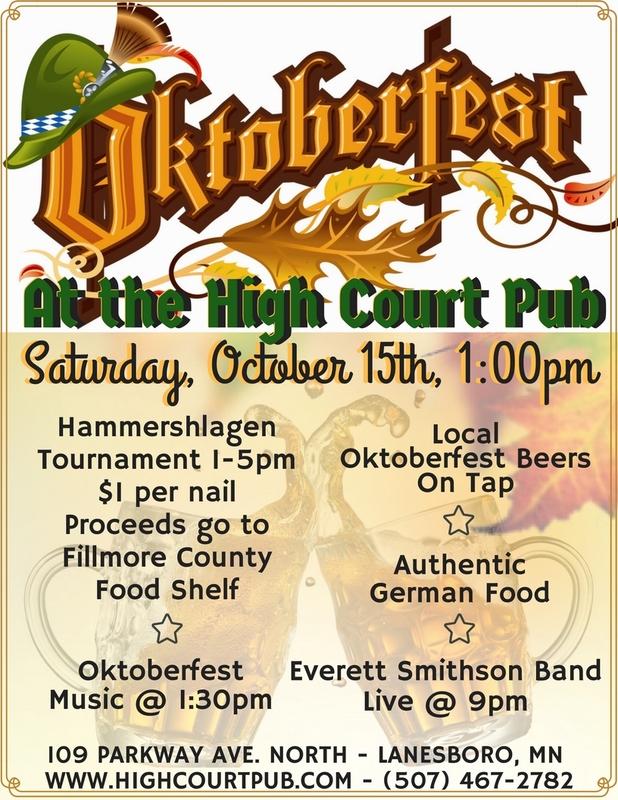 We will also have local Oktoberfest beer on tap, authentic German food, Oktoberfest music at 1:30pm and Everett Smithson Band will be playing live at 9pm! Octoberfest at the High Court Pub in Laneboro Minnesota.